SlimLine Body Care Products are easy to use. Made from the purest ingredients, each product can be used to enhance the benefits and allow for a variety of body curves services. Helps to cleanse dead surface cells leaving skin feeling smooth, glowing and helps other products efficacy. Use: Daily or the Day of your body wrap session. An all natural blend of Cinnamon, Aloe Vera, Fennel, and Chinese Herbs that help for enhancing youthful looking body curves. How to Use: Massage a Celiminate Cream onto your skin, over the entire body. Avoid the face. This refreshing mist and blend of herbs, minerals, amino nutrients, Aloe Vera and Vitamin E, moisturizes and beautifies the skin. How to Use: Hold the bottle 6 to 8 inches away from the skin’s surface spray the mist over your body this product can be combined to perform customized treatments from head to toe. A special blend of Lemon, Lime, Orange, Spearmint, Lavender and Eucalyptus essential oils. How to Use: Massage a generous amount of the slender serum onto your skin, over the entire body. Avoid the face. Use with Celiminate Cream for best results. Enjoy soothing aromas with pure essential oil blends derived from the finest cold-pressed plants and herbs. 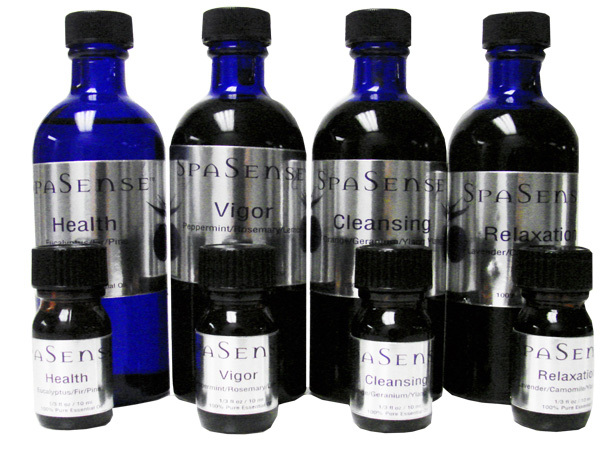 Essential oil blends are available in: Cleansing, Fitness, Relaxation and Vigor. Other stimulating essential oils are: Clary Sage, Fennel, Lavender, Rosemary, Eucalyptus, Orange, Ylang Ylang.